MTW series trapezium mill produce fine powder, ultrafine powder from all types of raw materials with high efficiency. This new industrial mill takes the most advanced patent technology from European, and the supply the customers with outstanding performance at low costs. The European type grinding mill is ideal for grinding barite, limestone, mica, talcum, quartz, calcite, granite, porcelain clay, basalt, gypsum, gold, iron ore, bauxite, copper, cement, coal etc. The fineness can reach 38micron (400mesh). This new type trapezium mill adopts bevel gear overall drive, trapeziums working surface, inner automatic Thin-Oil lubricating system, arc air channel and several latest patent technology, which is designed to substitute for ball mill, Raymond mill, vertical mill etc. The powder grinding plant with trapezium mill consists of jaw crusher, electro-magnetic vibrating feeder, main unit, deceleration machine, blower, dustpan elevator, impulse dust cleaner, piping device, cyclone collector device, classifier, high-pressure motor and muffler and so on. The Black Thunder thermal coal mine is located in the Southern Powder River Basin of Wyoming produce coal. After passing through a vibrating grizzly screen, jaw crusher, heavy duty sizing screens and a large scale cone crusher, the coal is reduced to 0-15mm in diameter. In the grinding mill plant, The MTW trapezium grinding mill in European type will be grind the crushed coal in fine powder, the size can be down to 0.04mm (or 400 mesh). This project in USA supply most of the thermal coal, and the grinding mill used in the plant can increase efficiency rapidly. "The complete 4 units of MTW trapezium grinding can save ten thousand dollars every year for the Atlantic Richfield group." Newmont Mining Corp. started mining gold at Carlin, Nevada, USA for a long time. The mining plants take large shovels and haulers to transport gold ore into primary crusher, then for secondary crushing. 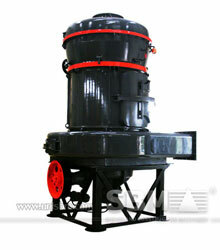 The crushed ore meet the size will be send to grinding plant for fine powder grinding. The processing plants available, some using Newmont proprietary technology, provide considerable flexibility. 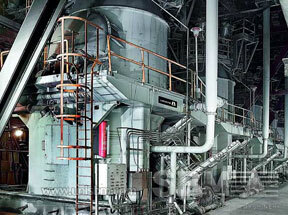 Ball mill, trapezium mill, oxide mill is widely used in the leach plant for refining. "Compared the traditional ball grinding mill, MTW trapezium mill has low Material contaminant, low foot space, and high yield"